One country throws away 61kg of plastic packaging a year - twice the regional average. David Attenborough’s BBC documentary series Blue Planet II caught the attention of viewers around the world last year with its shocking insight into how plastic waste is harming fish, marine animals and birds. According to a study published last year in the Science Advances journal, we have produced 8.3 billion metric tons of plastic in the past six decades, most of which has ended up as waste. Every minute, one garbage truck of plastic ends up in the oceans. Research by the World Economic Forum and Ellen MacArthur Foundation estimates that by 2050 there could be more plastic than fish in the sea at the current rate of production. 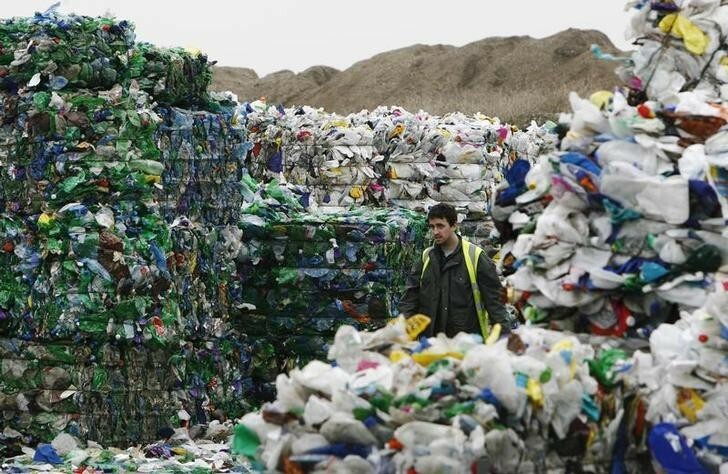 China’s decision to stop importing “foreign garbage” is already increasing pressure on industrialized countries such as the UK to recycle more of their own plastic waste instead of shipping it overseas. However, there's a staggering amount of disposable plastic used by developed countries, and increasingly in the developing world, despite schemes to cut waste and boost recycling. 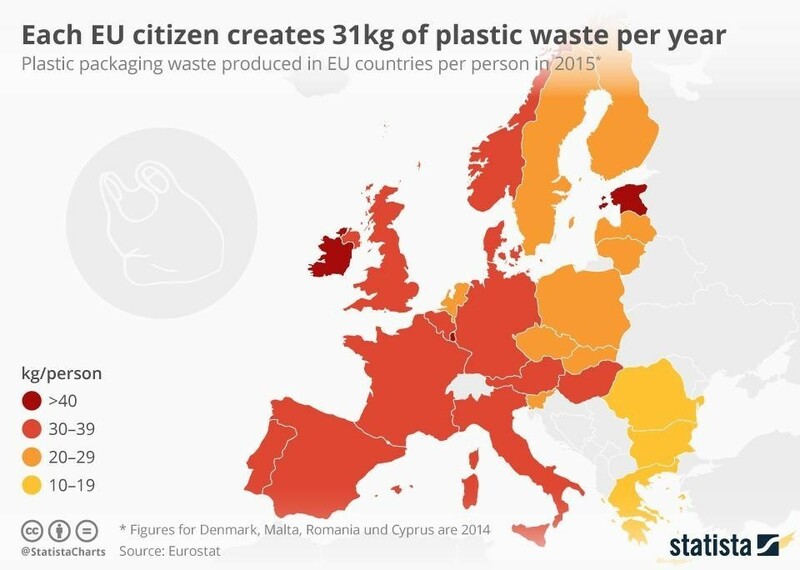 The average EU citizen created 31kg of plastic packaging waste in 2015, according to Eurostat figures visualized in this chart. The European country creating the most plastic waste per citizen is Ireland, with an average of 61kg thrown away each year. Luxembourg is next with 52kg. Before banning the practice entirely at the beginning of this year, China once took in 95% of Ireland’s plastic waste. Now Ireland, like other European countries, will have to search for alternative solutions for its waste. Bulgaria, in comparison, produces the least plastic waste per citizen, at 14kg. In January, the EU set a goal of recycling 55% of all plastic by 2030. Meanwhile, the UK Prime Minister Theresa May announced a plan to end all avoidable plastic waste by 2042. While efforts are being made to tackle plastic waste, the scale of the problem is so enormous that it may require radically rethinking the way we make and use plastics.